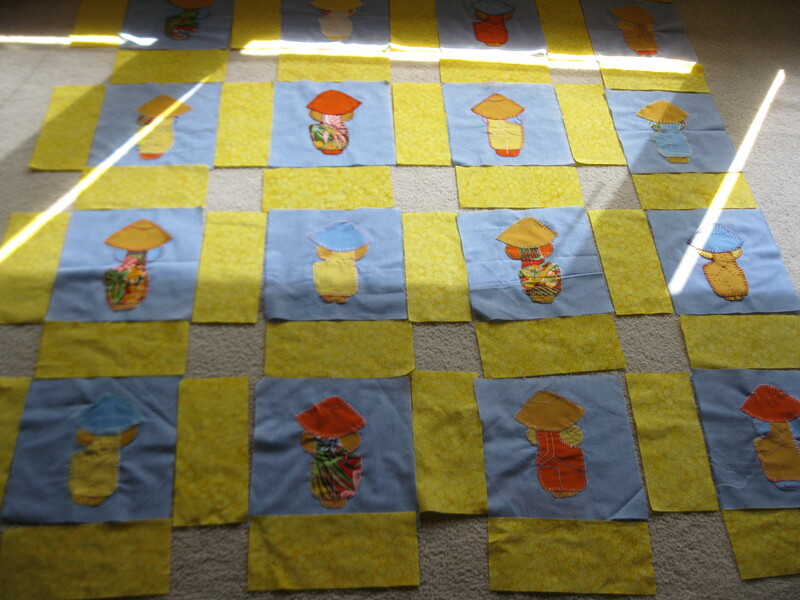 Day 165/365: The 28-Year-Old Block Project, Quilted and Completed! 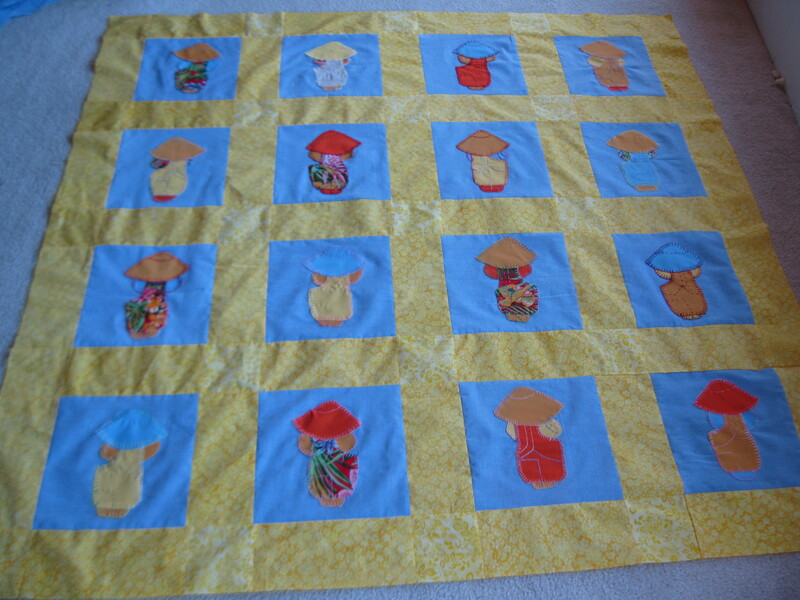 Remember last week, when my mom was visiting from Hawaii, and I started piecing together the appliqued blocks that she began hand-sewing back in 1987? Twenty-eight years later, it’s finished! 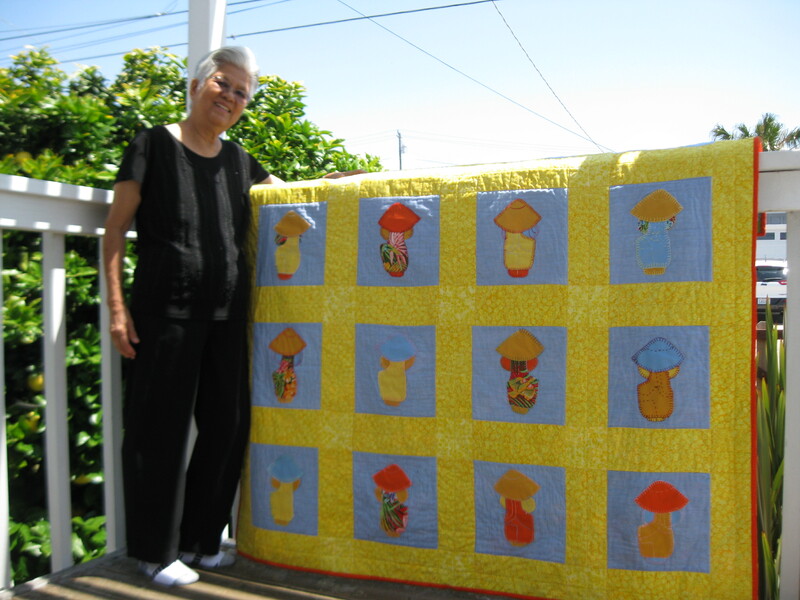 My mom began this project back in 1987. She cut those blue squares with scissors instead of a rotary blade. (I don’t even know if rotary blades and self-healing cutting mats were available back in 1987.) 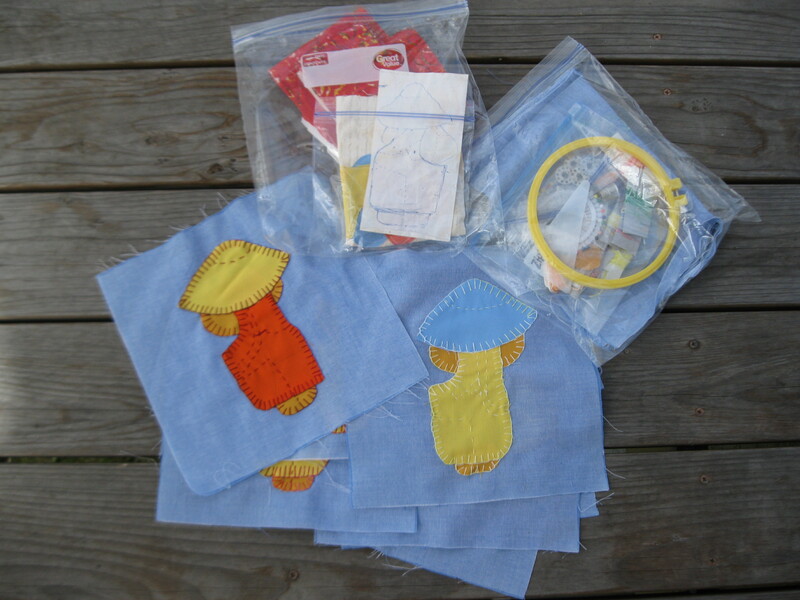 Then, sewing by hand, she appliqued those little sun-hat-wearing figures to the blue background, using embroidery thread and the blanket stitch. 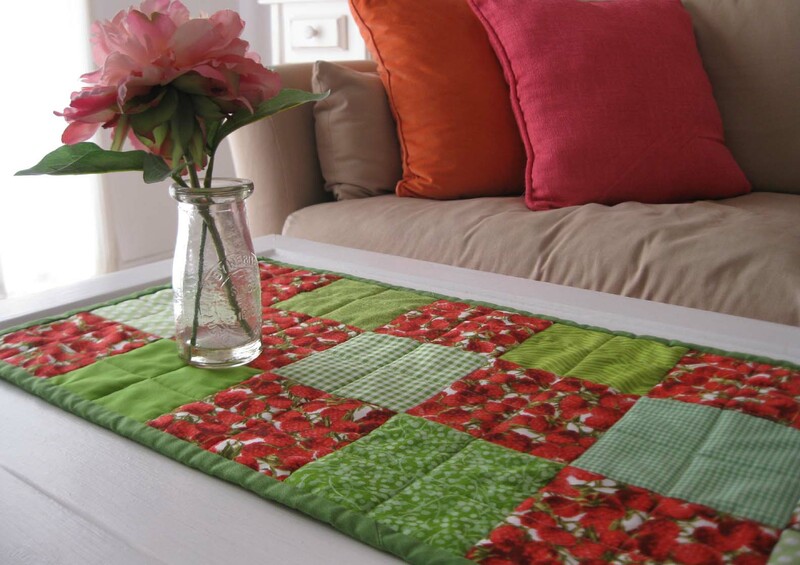 Her original plan was to hand-sew each of the blocks together to make one large sheet to cover a bed. I’m not sure exactly when she stopped working on this project, but she didn’t get around to seriously picking it up again until just last year. About three months ago, she sent a photo of the blocks to me with a text message: “Look at what I’m working on.” She had completed a huge pile of them. I texted back and offered to sew the blocks together on my sewing machine. She was planning on coming out to California in June for my nephew’s high school graduation, so I figured I’d do it while she was in town for her visit. Fast forward to last week, when she arrived in Morro Bay with her luggage and goods from Hawaii. When I saw the actual blocks, I realized that they’d look a lot better against a contrasting fabric, rather than sewn side by side. So I purchased some yellow cotton and went to work. 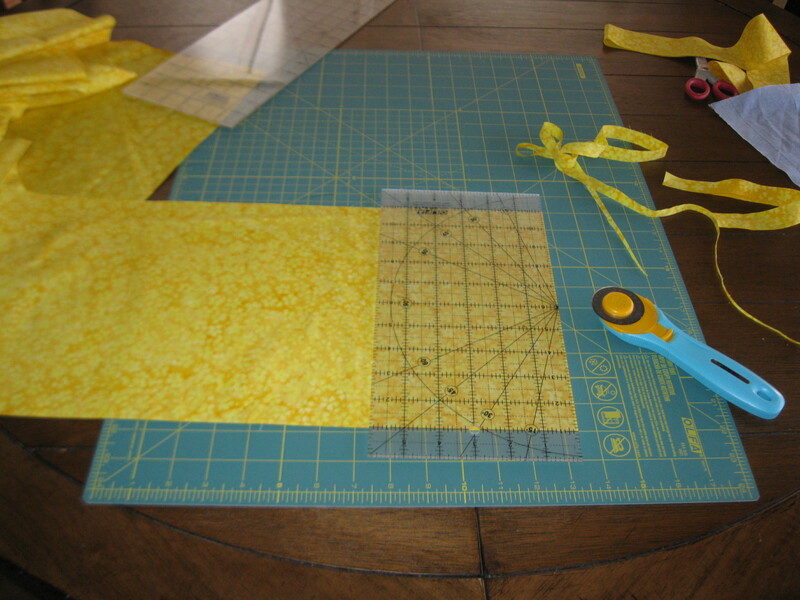 Cutting fabric with rulers, a rotary blade, and a self-healing mat. No using scissors here! This cute little guy needs a yellow frame to really stand out. Each one getting his own frame. Sewing strips, and then sewing the strips together. Ta-da! 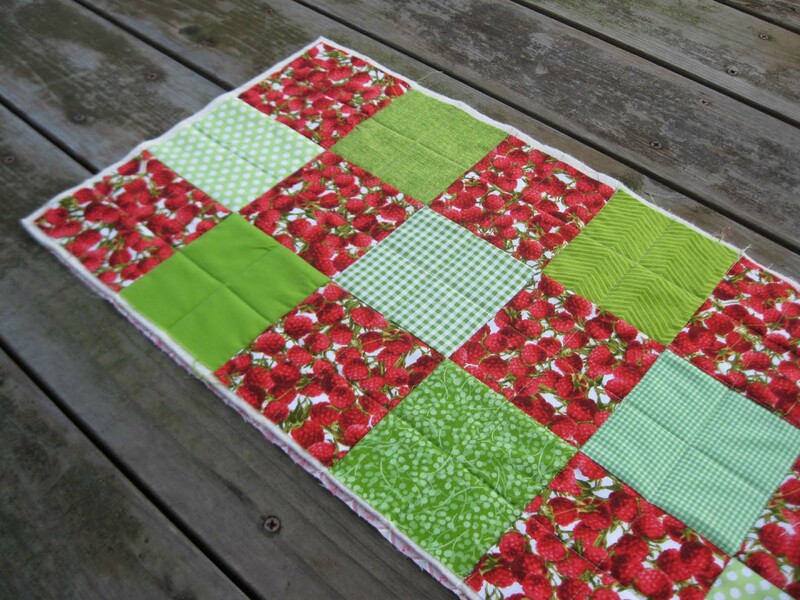 The finished quilt in all its glory. A labor of love for my Mama. 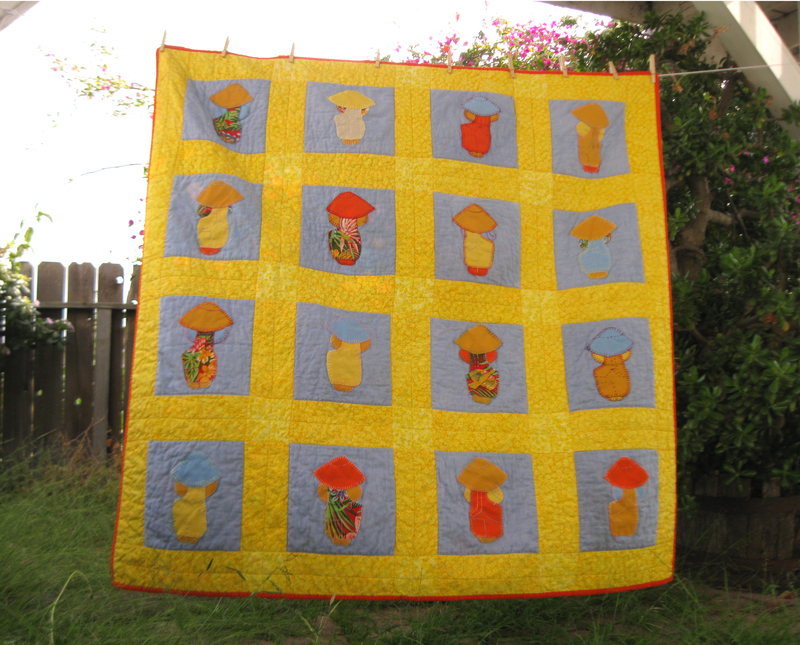 Categories: Handmade | Tags: Hawaii, Morro Bay, quilt, quilt-making, quilted, quilting | Permalink. 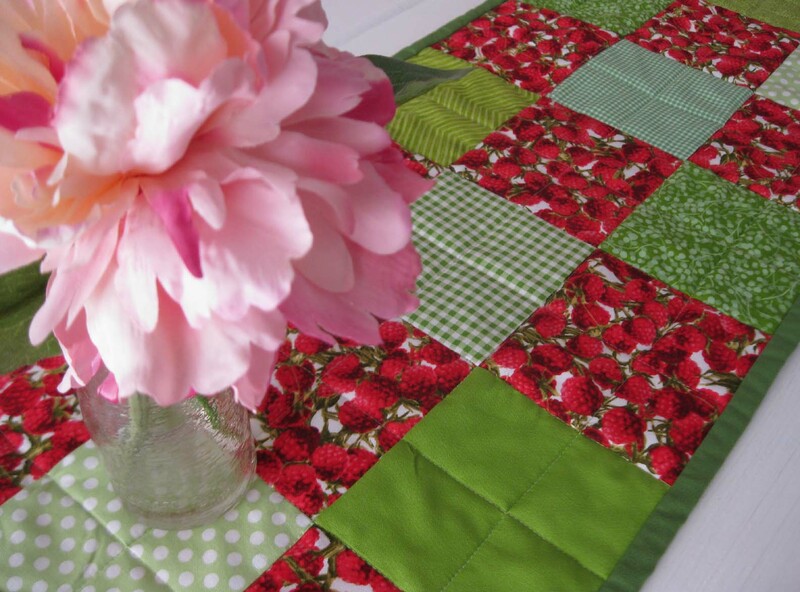 To refresh your memory: the finished quilt top. 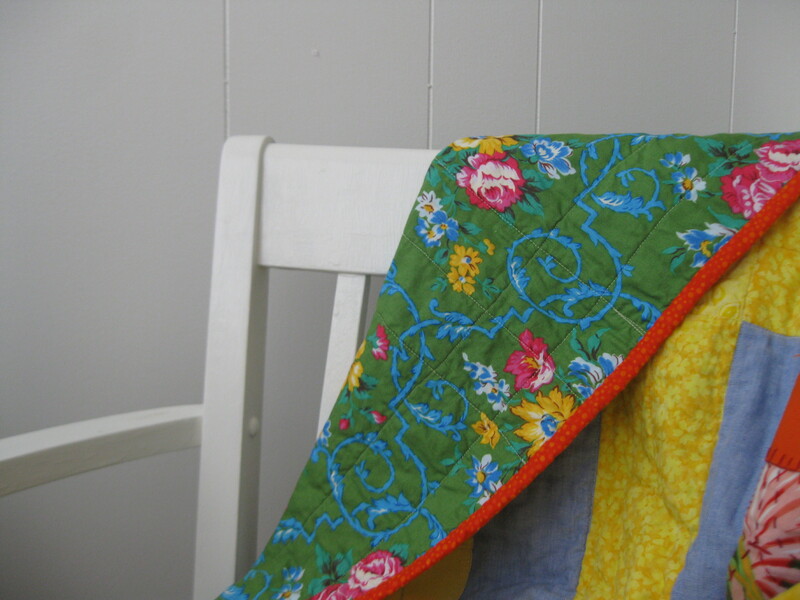 For the backing of my current quilt project, all I had to do was go to the fabric stash. 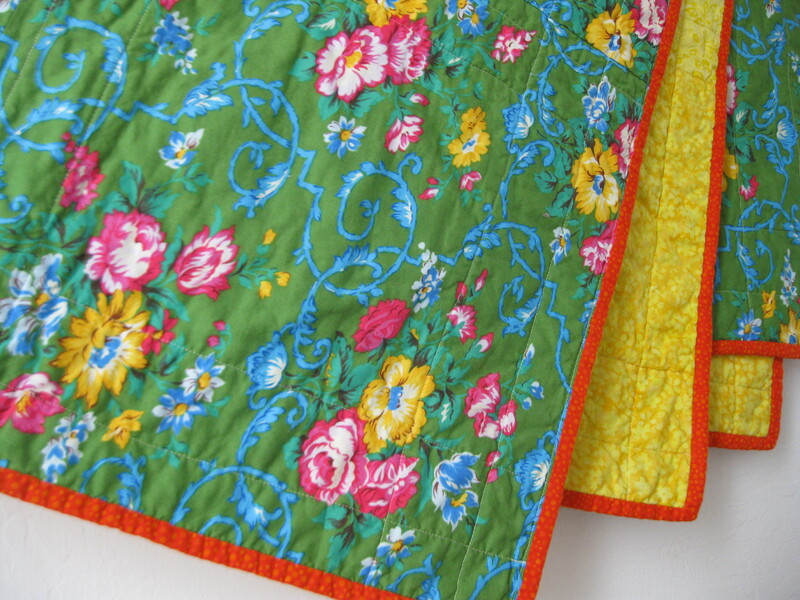 I found three yards of a green cotton with a pretty repeating floral motif. 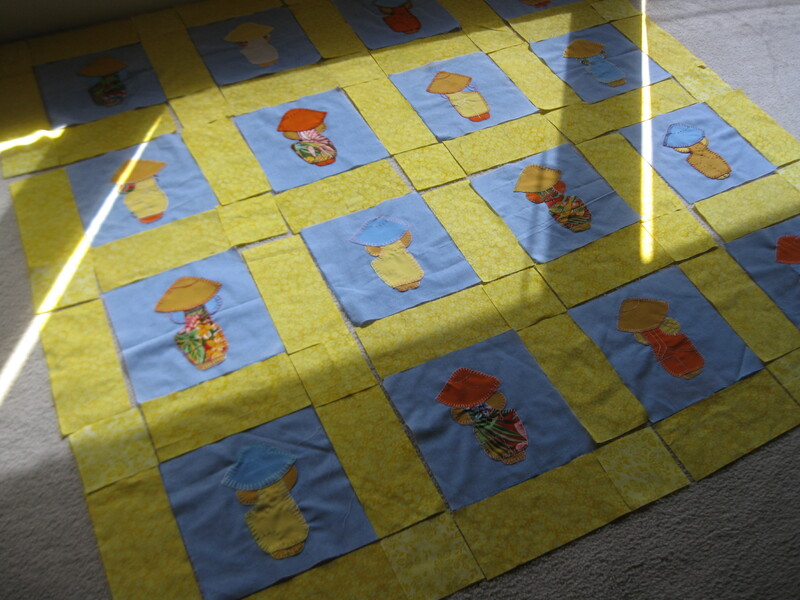 I had to do some measuring, cutting, and sewing to make the backing wide enough for the quilt top. Then I taped the completed sheet of fabric backing to the carpet and proceeded with spraying quilt basting spray and sandwiching the layers of quilt backing, the batting, and the quilt top. 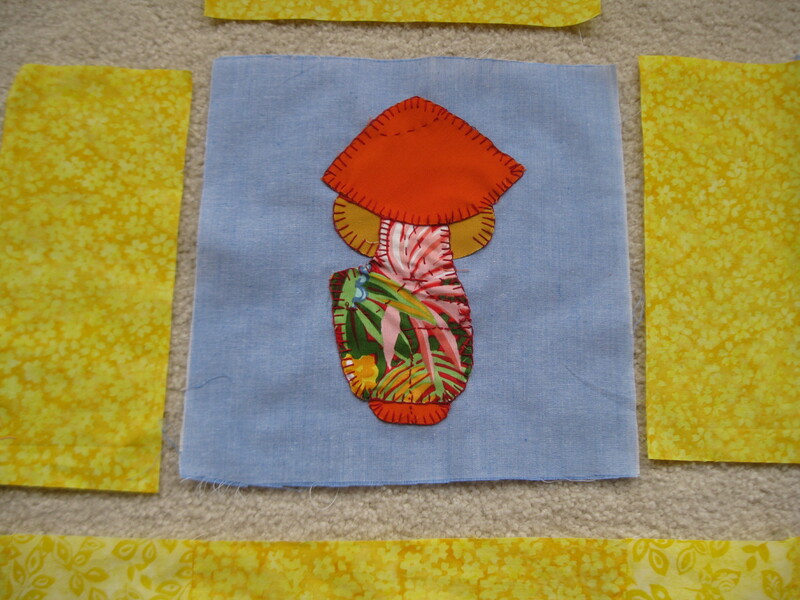 For the binding, I purchased half a yard of an orange cotton print from my local independent fabric shop. 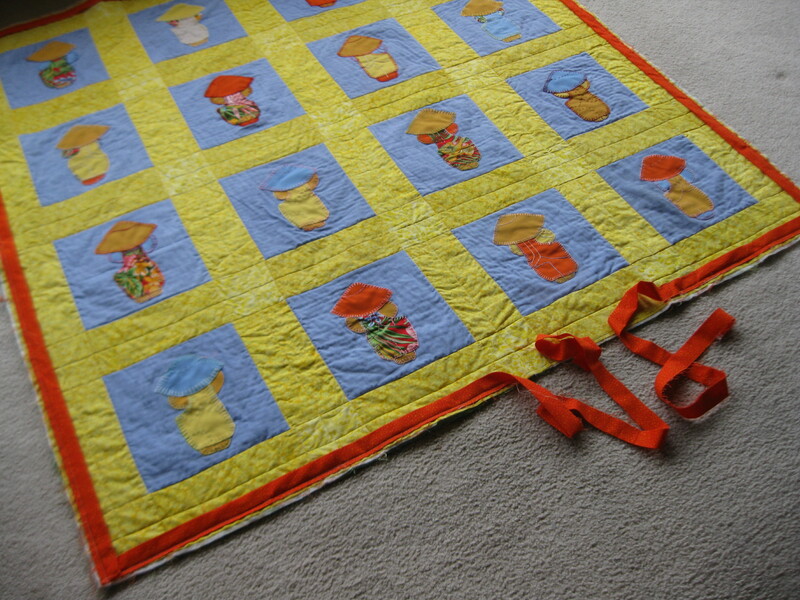 After slicing the orange fabric into strips, I went through the process of folding, pressing, and sewing them together to make one long strip of binding. 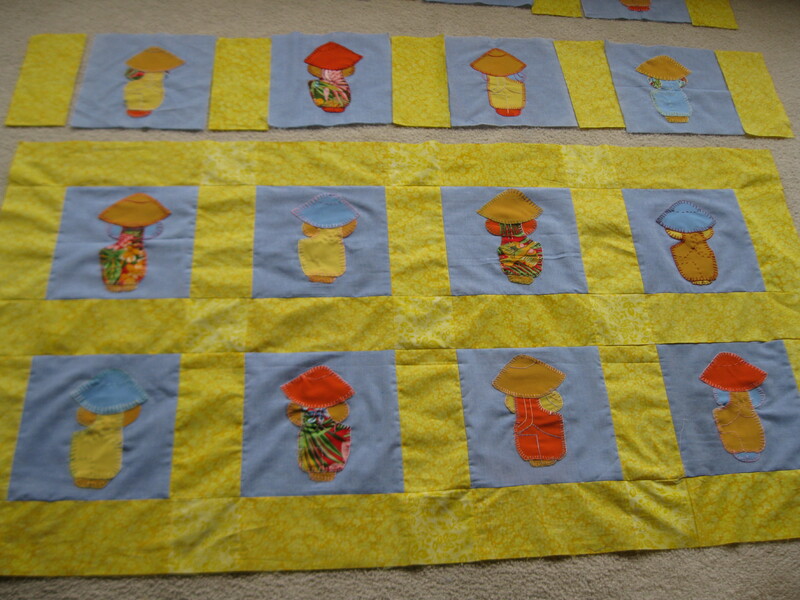 Next I machine-quilted the fabric and batting sandwich. 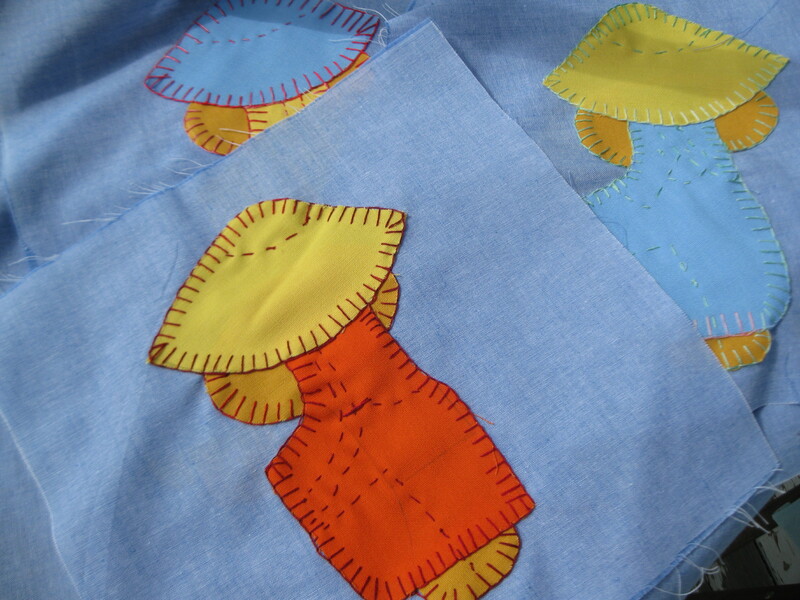 I didn’t do anything fancy– just sewed straight lines. 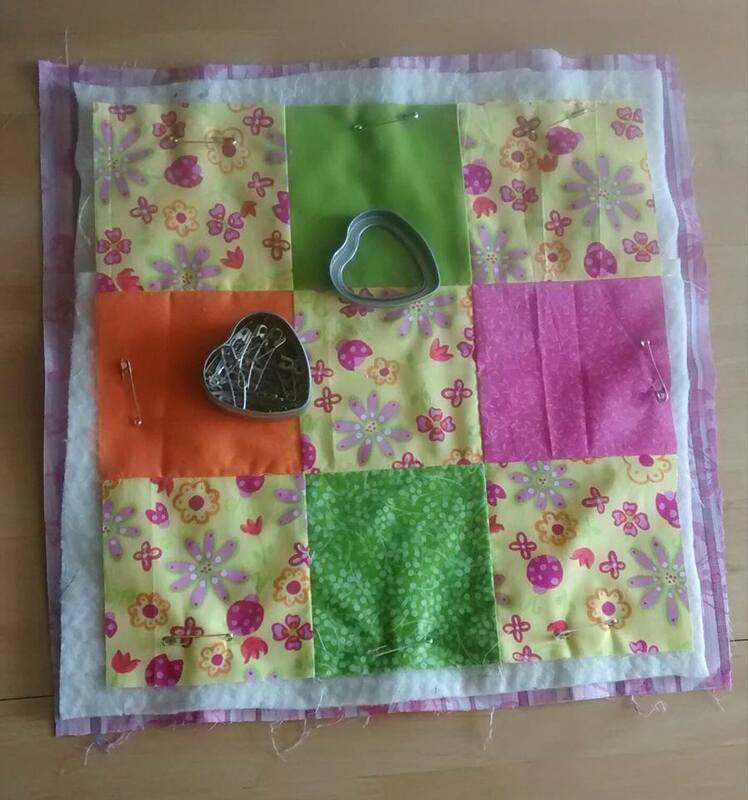 The last thing I did before calling it a day was sew the binding to all four edges, leaving a gap where the two ends will have to be connected. 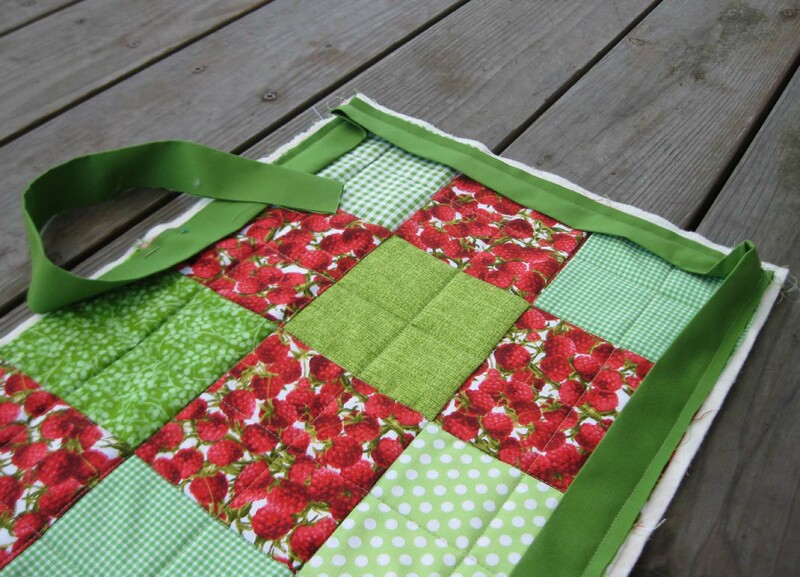 Categories: Handmade | Tags: quilt, quilt-making, quilted, quilting | Permalink.